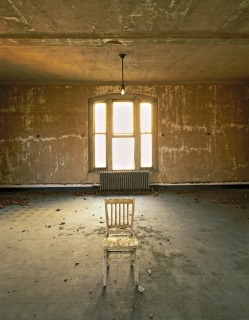 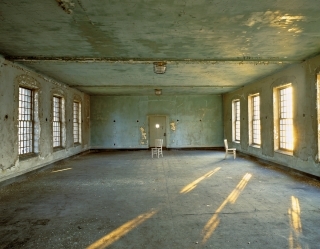 For five years (1998-2003) New York photographer Stephen Wilkes explored the hospital complex that comprised the south side of Ellis Island. 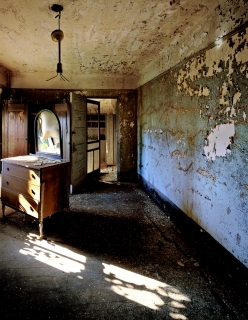 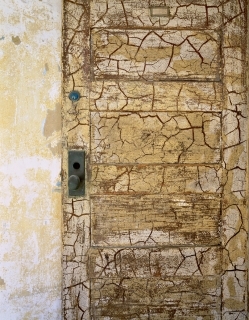 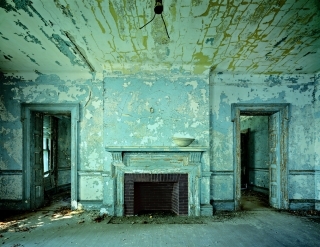 Neglected for almost fifty years, the buildings were in a state of extreme disrepair: lead paint peeled from the ceilings and walls, vines and trees grew through the floorboards, detritus and debris littered the hallways. 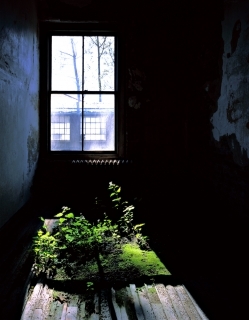 In rooms long-abandoned, Wilkes captured a spirited new vision of this gateway to freedom. 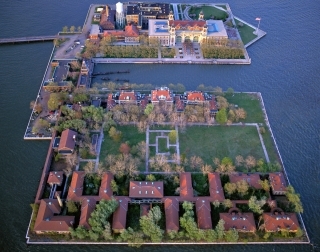 Twelve million people passed through Ellis Island. 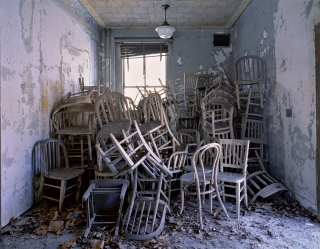 Approximately one percent were turned away for health reasons. 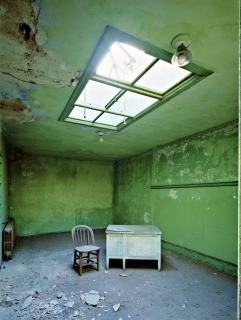 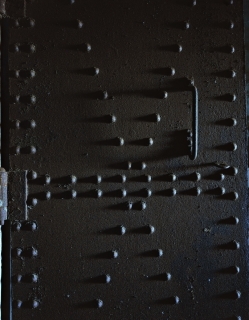 Wilkes's powerful images of the underbelly of the island--a purgatory between freedom and captivity--ask us to reflect on the defining experiences of millions.